"Without Hubspot's automation, we would have relied on manual efforts to vet more than 1,000 individuals manually. By automating the vetting process, the majority of the candidates that were not ready to move forward were able to exit the process on their own saving hundreds of hours for the all-volunteer staff." In July 2017, Tribute Media launched a pro-bono inbound marketing contract for the nonprofit, Sleep in Heavenly Peace (SHP). SHP is an all-volunteer organization that builds and delivers bunk beds for children in need. The geographic areas they can serve are limited because, as one can imagine, the delivery and set-up of bunk beds require a significant amount of physical labor. Since the organization was founded in Twin Falls Idaho in 2007, they have added SHP chapters in other regions to reach families in additional communities. Tribute Media started this inbound marketing engagement by building a new website at SHPbeds.org in the HubSpot CMS. We also set up workflows that would notify the appropriate chapter presidents of contact form submissions and well as bed requests in the areas they serve.  In addition, we worked with the Google AdWords grant department to finalize a $10,000 per month Google AdWords budget. When Tribute Media began working with SHP, they had six chapters in three states. 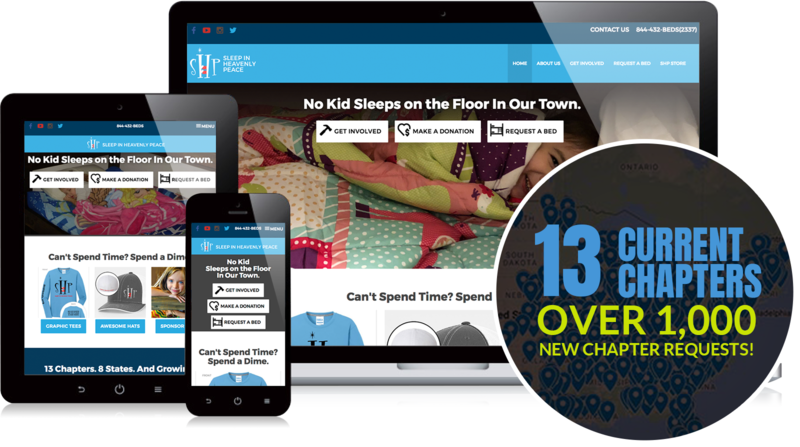 By adding inbound marketing services and Google search ads, SHP began receiving increased bed requests outside of the areas they serve, as well as interest from people who saw a need in their area and wanted to start a chapter to serve their community. The organization's goal was one new chapter per quarter. By November 2017, SHP Beds had already added three new chapters in two additional states. 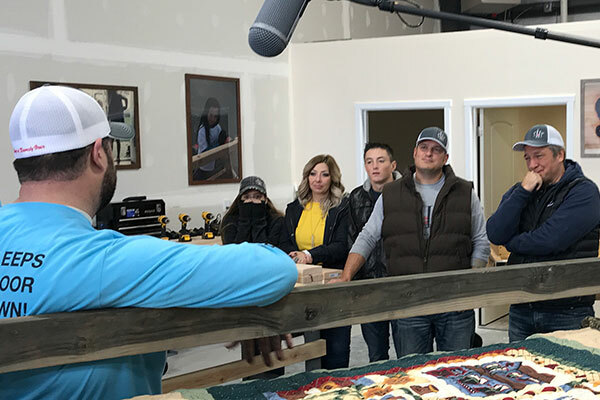 This is also when they learned that they had gotten noticed by TV star Mike Rowe and would be featured on his popular Facebook show, "Returning the Favor." With SHP's Returning the Favor episode airing in Q1 of 2018, they knew interest in the organization would skyrocket. In order to accommodate more bed requests throughout the country, they would need to add more chapters. The biggest surprise for SHP was the volumen of interest in starting new chapters. In order to process more than 1,000 new chapter requests, they needed a streamlined process for vetting prospective chapters, training new chapter presidents, and launching new chapters. As anticipated, traffic to the site and interest in the organization skyrocketed after their episode of Returning the Favor. In addition to a 557% increase in web traffic, SHP received more than 1,000 requests to start new chapters in the United States, Canada, and Mexico. In order to thoroughly vet new prospective chapter presidents while still working with the limited time and resources available from the 100% volunteer-run organization, Tribute Media initiated a Chapter President Webinar and Automated Workflow. This webinar is available on the HubSpot website using HTML5 video and it reviews the roles and responsibilities of a chapter president. 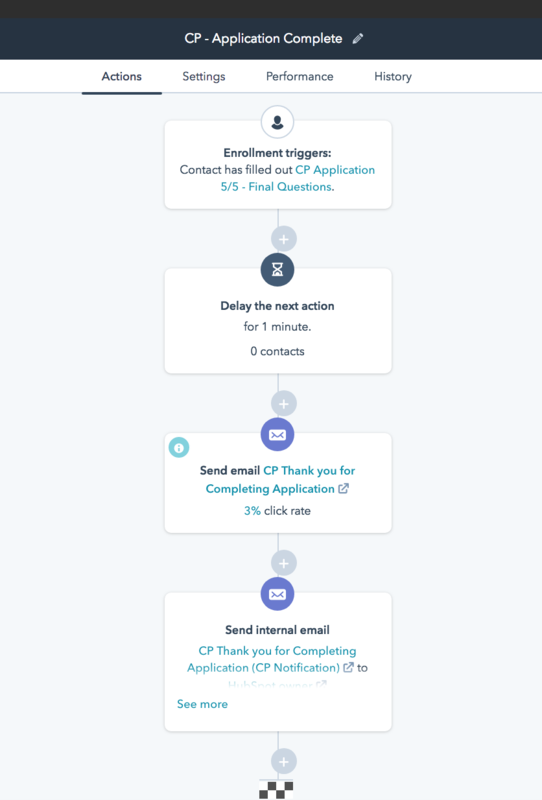 At any point in the process, if the candidate does not take action for a sufficient period of time or chooses to cancel his or her candidacy, the candidate's application is automatically cancelled and pulled out of all workflows. And this is all done before they ever talk to a human, which is a huge plus for this non-profit that wants the majority of their resources to go toward their mission of ensuring "No Kid Sleeps on the Floor in Our Town!" Without Hubspot's automation, we would have relied on manual efforts to vet more than 1,000 individuals manually. By automating the vetting process, the majority of the candidates that were not ready to move forward were able to exit the process on their own saving hundreds of hours for the all-volunteer staff. Sleep in Heavenly Peace currently has 13 chapters in eight states with new requests and interest daily. This process has allowed the organization to qualify more than 1,000 applicants down to about 200 serious prospects without thinking about it. For an all-volunteer staff this has been critical to keeping on top of things. This allows the mentors and board to focus their time and effort on only those that are truly interested and qualified to start a chapter in their area. By gaining exposure through inbound marketing, the Google AdWords grant, and the 8.4 million views of their "Returning the Favor" episode, SHP has realized the importance of automated processes for continued growth and scalability of their organization. The automated workflows developed for interested chapter presidents have provided a model that can be repeated for other processes within Sleep in Heavenly Peace, freeing up their precious resources to get more kids off the floor.